Last month Star Wars: Episode VII - The Force Awakens garnered five Oscar nominations for its score, sound editing, sound mixing, film editing and visual effects. In the film editing category, The Force Awakens' editors Mary Jo Markey and Maryann Brandon both received their very first nominations. They attended a recent event for all of this year's Oscar nominees which was hosted by The Hollywood Reporter. In an interview with THR, the duo were asked about how they heard the news that they had been nominated and also discussed some scenes they worked on that didn't make it into the film. They offered some intriguing answers to the latter. The first deleted scene they revealed would have involved Captain Phasma ordering ships to take off, presumably in response to the Resistance's attack on Starkiller base near the climax of the film. They explain that the scene had to be cut due to it taking place after Phasma's encounter with Han, Finn & Chewbacca who put her in a Trash compactor. The second scene is one that appeared in the novelization but was unclear if it had been shot for the film. 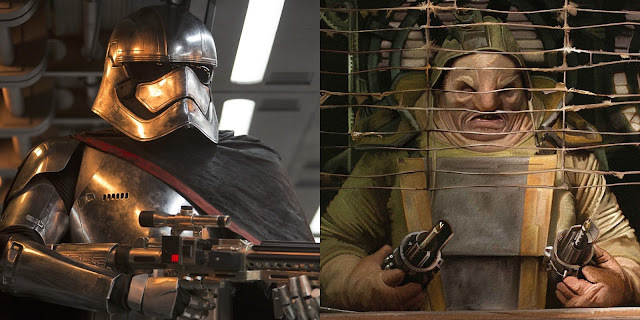 This scene was to take place at Maz Kanata's castle after Finn leaves and would have involved Unkar Plutt reappearing and confronting Rey about her theft of the Millennium Falcon, which he previously possessed. Chewbaaca would have ultimately intervened and ripped Plutt's arm off, but Brandon explains that the scene conflicted with the emotion of the sequence and was cut. Hopefully we will get to enjoy these scenes in all their glory as part of the bonus features of The Force Awakens coming in just a couple months! 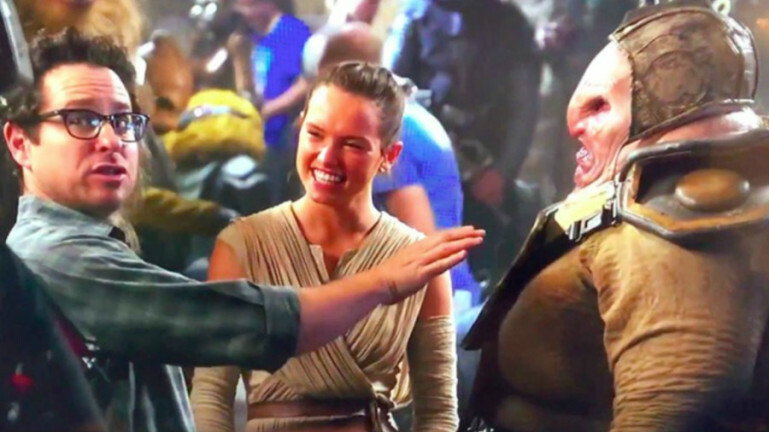 Unkar Plutt loses an arm? Wait, you mean they avoided copying something from the first movie? I don't believe it.